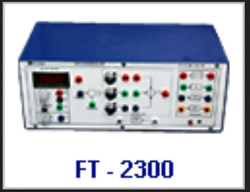 Future Tech Information Systems Private Limited - IT / Technology Services of automatic control systems, digital multimeters panel meters & control system trainers since 1995 in Hyderabad, Telangana. 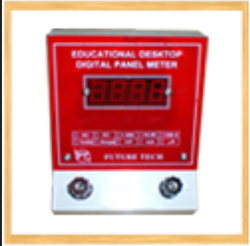 Digital trainers provides all experiment functions on Logic Gates, Flip - Flops, Counters, Shift Registers etc. Built in Power Sources, Data Switches, Status Indicators, Clocks, Pulsers & Displays etc are provided as standard features where ever required. 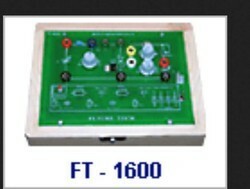 2mm/4mm patch chords set and user manual are provided with each trainer. 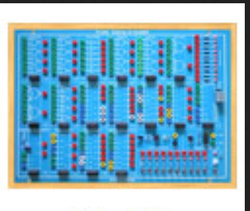 Control system trainers consists of dc motor study, dc motor speed control (open loop / close loop), pid controllers with independent setting of P, I, D constants, 1st, 2nd & 3rd order system simulators, compensation designs etc,. 2mm / 4mm patch chords set and user manual are provided with each trainer.